34 years ago tonight, on Saturday, October 30, 1976, Chevy Chase appeared in his last episode of “Saturday Night Live” as a cast member. 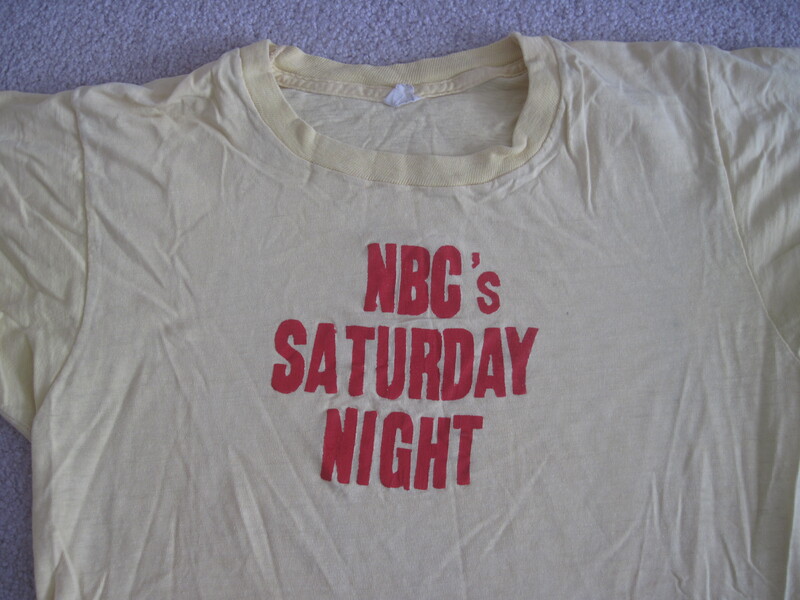 The show, then called “NBC’s Saturday Night,” was produced that night at the NBC studios in Brooklyn for the third week in a row (see previous post for the reason). It was also the night Buck Henry became the show’s first 3-time host. 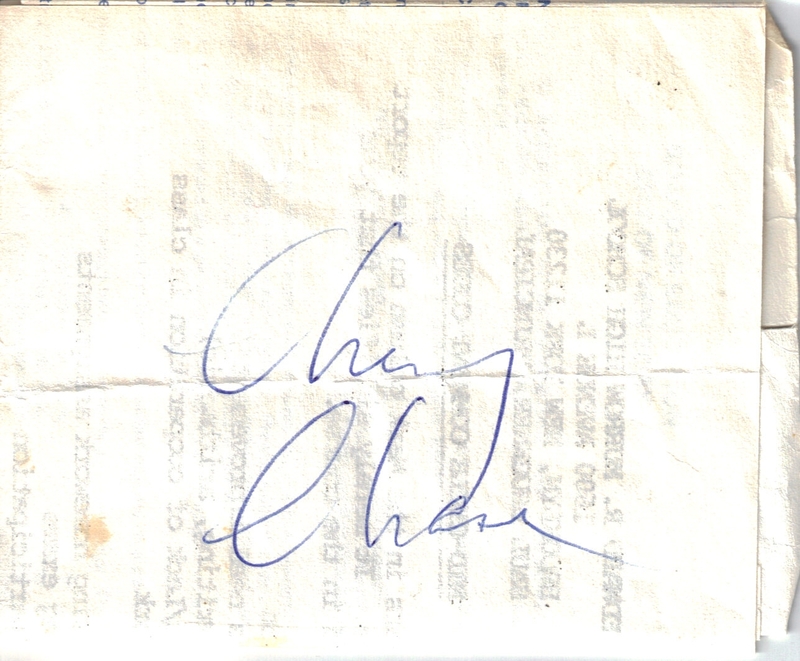 The autograph above was signed by Chevy sometime during that week. At that night’s dress rehearsal I presented Chevy with a silk-screened T-shirt that a friend and I created. The photo above shows my identical T-shirt as it looks today 34 years later. One difference though; I actually wore my shirt. I doubt Chevy ever wore his. It may be difficult for young people to understand just how popular Chase was at the time. He was the first break-out star from SNL, leaving after just 1 year on the show to make movies. (This was the 6th episode of season 2 and the series’ 30th new episode). The first film Chase released was “Foul Play” with Goldie Hawn in 1978. 65 years ago today, on Tuesday, October 30, 1945, Henry Winkler was born in New York City. Best known for his years playing Fonzie on “Happy Days” Winkler has since appeared in many other shows as both a regular cast member and recurring character. 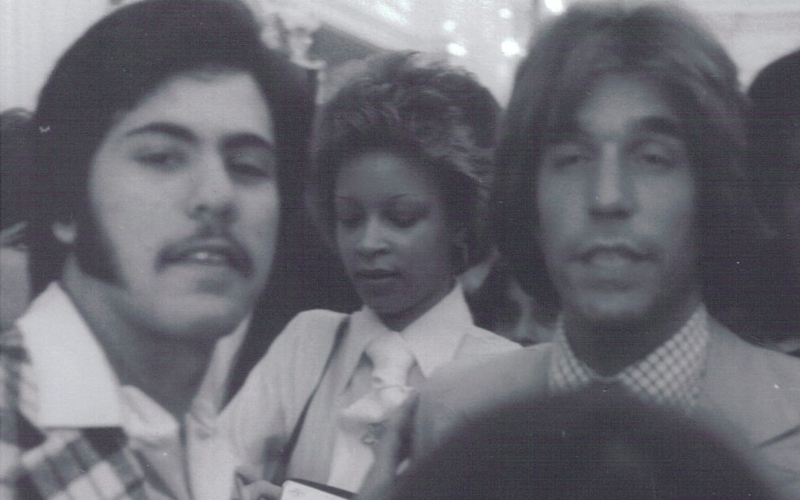 The photos above and below were taken at New York City’s Gracie Mansion in 1977. 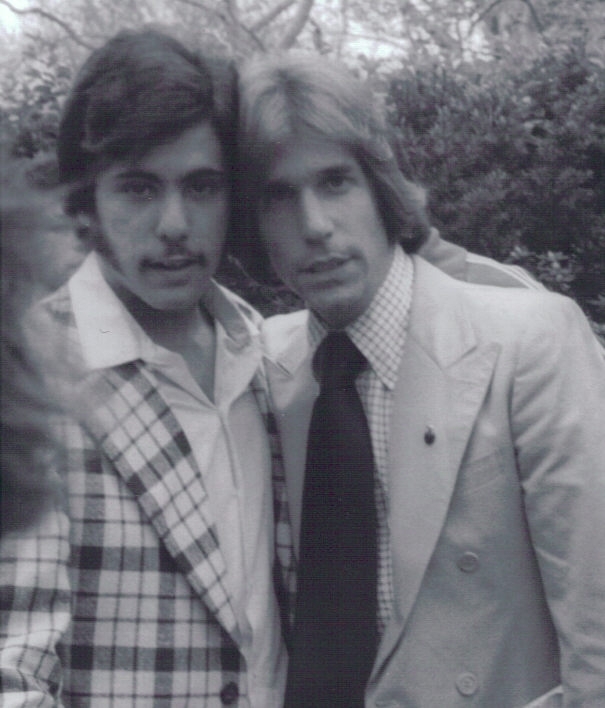 When I asked him that day in 1977 about ABC Entertainment President Fred Silverman’s involvement in expanding the role of Fonzie on “Happy Days,” Winkler got quite defensive and sharply replied, “Lemme tell you something. Fred Silverman wanted to make the show “Fonzie’s Happy Days” but Ron Howard wouldn’t stand for it, and I don’t blame him.” Thus I learned that an insightful question, that pushes buttons, can get you a wonderful and sincere response.